I’m planning on moving soon and that can be a daunting task. In an effort to minimize the hassle and make it a smooth transition, I have decided to get rid of as much as possible. 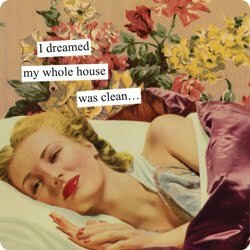 That means good ole’ spring cleaning! I get to spend hours throwing away products and papers no longer needed, selling anything that someone is willing to buy, donating clothing that I will not wear, etc. This feels like the best move to make towards a better atmosphere and a greater level of freedom. As we all know this can be fun, but also overwhelming. I have begun planning for this time for months. For the last several weeks though I have been dreading going into the basement. I wonder why I have so much dread for doing this. Maybe it’s because it’s hard to let go of the old times. Maybe it’s that I haven’t used the items enough yet. Maybe I don’t want to let go of the associated memories. Or maybe I’m too lazy. After much internal deliberation it finally dawned to me, I’m scared. I’m scared to let go of this life. I’m scared of finding those memories that have hidden away. I want to be free, but I don’t know how to break the chains. Thus I have procrastinated for such a long time. A couple of days after I realized my fears, I began to notice how procrastinating, may me deal with the emotions every day. Why not just clean the basement, face my fears, and deal with better times quickly? As the saying goes, “Out with the old and in with the new”. I can really only embrace the changes to come. I hope that by getting rid of the old, it will make space for a much better new. Those old memories and thoughts have kept me away from achieving a goal. That goal is stability. It’s time to let go of the things that have weighed me down. It doesn’t make sense any longer. For some people, spring cleaning is dusting off the tops of dressers. For others it’s throwing away junk. But I believe spring cleaning is a time to let go of anything that hinders your progression. Get rid of the bad friends, ugly clothes, frightful memories, and broken dreams. Embrace the new relationships, environment changes, job space, and new hopes. More Ronnie Spirit action for your brain.